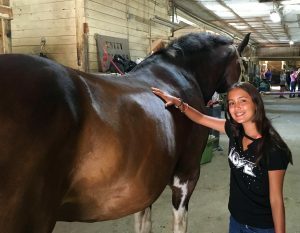 The Susquehannock Camps, along with Unity Stables, offers an extensive riding program to riders of all levels and ages. Quality instruction, facilities, and programs develop horsemanship knowledge, skills and a passion for riding and horses. We are conveniently located a short drive from one of the leading Equestrian facilities in the area. Jennifer Joines of Unity Stables has been familiar with our riding program for 25 years and has assisted with it through the years. Unity Stables has been providing top quality boarding, training, lessons and more at their location since 2004. The facility is full service and currently houses approximately 25 horses. A 70 x 140 indoor arena allows for riding no matter the weather. An enclosed and heated wash stall, on-site trails, a huge outdoor arena, a cross country jump field and obstacles for trail class are just some of the many amenities Unity has to offer. They also run on-site shows, clinics and attend many other events. Previously, the Camp Susquehannock riding program focused only on the Hunt Seat style of riding, but now we are excited to also be able to offer Western to our riders. The current skills of each rider are assessed at the beginning of each session so that lessons can be tailored to meet the needs of each individual. Riders also learn about and apply skills of grooming, tacking, and general horse care to develop good horsemanship. Riders may ride 3 times per week. 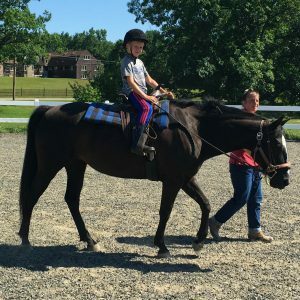 Unity Stables provides a range of horses to meet the diverse abilities of campers from beginners just learning to ride, to competitive riders whose experiences include training and showing beyond the Camp season. Many of Unity’s horses are current and/or former competitive horses that have won many awards and have very accomplished show records. Safety is always going to be the number one priority when riding at Unity Stables. Jen takes great pride in teaching riders proper balance and control and watching students advance quickly through the levels. In addition to regular lessons, Jen enjoys creating and providing other fun opportunities for her students. Based on the interest of her students, Jen has introduced her riders to activities such as musical drill teams, trick riding, cowboy/cattle-type working and so much more. With so many horses to offer, there is always something new that Jen is looking to introduce people to. And, for those that are interested, Unity can also offer jumping and basic gymkhana events such as barrel racing. ASTM approved helmets and boots or shoes with heels are required, as are breeches or jeans/long pants and chaps. Camp Susquehannock and Unity Stables are able to provide appropriate riding equipment for any rider who does not own his/her own gear.